Former Tattered Cover bookseller Matt Sullivan’s debut literary mystery is an entertaining page-turner and affectionate salute to independent bookstores. Lydia Smith is a bookseller at The Bright Ideas Bookstore, a thinly disguised Historic Lodo Tattered Cover sometime in the 1990’s. Late one night as she’s closing the store she discovers that Joey Molina, one of her favorite young regulars, has hung himself in the store, a photo of her as a child in his jeans pocket. Devastated and confronted with a link to a violent crime she survived as a child, Lydia struggles to uncover the reason for Joey’s suicide and what his connection is to her past. 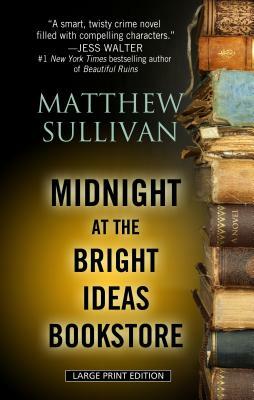 Midnight at the Bright Ideas Bookstore is a gripping read and a knowing nod to all who pass their time in bookstores.